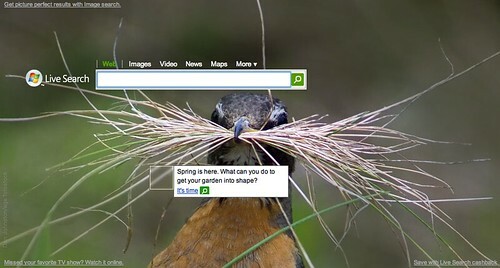 Today is the first day of spring and Google, Live.com, AOL, FriendFeed and others have special logos and themes live on their home pages today. It is also Nowruz, the beginning of the Iranian year and is a secular holiday - FriendFeed's logo is around that. 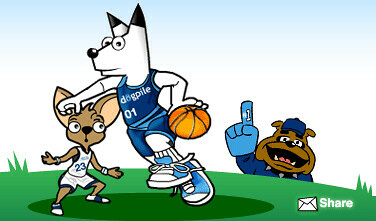 Also, March Madness is this week, so we have a logo from DogPile for NCAA basketball. Only major search engine missing a logo today is Yahoo. Now, there is something you may have missed, as Kalena Jordan found, Google New Zealand accidently linked the result to the "First Day of Fall" and not the "First Day of Autumn." It seems to have been corrected now, but it is not Fall in New Zealand, it is now Autumn. Live.com has a theme with spring related "hot spots:"
Forum discussion on the Google New Zealand slip up at Sphinn and other logos at Search Engine Roundtable Forums.